For us Palestinians as well as for all those that have supported decolonization around the world, India is engraved in our collective consciousness as a stalwart of dignity, independence and international cooperation for a just and peaceful world. The country that had suffered one of the longest colonisations in the world soon after independence became a major player in global politics. India built alliances that helped others gain freedom and promoted groundbreaking United Nations conventions that shaped international law. Unlike India, in 1947 Palestinians did not gain independence but our land was handed over to another coloniser. Israel was established on the ruins of Palestine, with the forced dispossession of the majority of Palestinians from their homes, rendering us one of the largest refugee populations in the world. We recall fondly India’s principled opposition to this injustice. 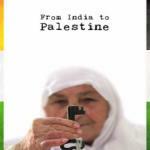 Until 1993, Indian passports were valid for all countries except for Israel and South Africa – acknowledging the apartheid and colonial policies committed by these allied regimes. Today, Israeli policies are reaching even higher levels of cruelty and atrocities. Two million Palestinians live crammed together in the Gaza Strip, besieged and isolated from the rest of the world, surrounded on land, sea and air by the Israeli army, denied basic human rights. A 10-year old Palestinian child in the Gaza Strip has already lived through three Israeli massacres. Just weeks ago Israel announced that it was cutting electricity supplies to the besieged population, adding to its long list of war crimes against Gaza’s civilian population. In the West Bank, Palestinian communities are being forcefully pushed to live in Israeli-orchestrated ghettos surrounded by an eight-meter high concrete wall, that in 2004 was declared illegal by the International Court of Justice (ICJ). Inspired by the South African struggle against apartheid, as well as India’s own freedom struggle, the Palestinian people launched a historic call in 2005 for worldwide boycotts, divestment and sanctions (BDS) against Israel’s regime of apartheid – a call that has given rise to a global movement that is succeeding in isolating Israel in the world stage for as long as it continues to oppress Palestinians. Citizen action worldwide has forced corporations to close down their Israeli operations (e.g. Veolia, Orange) and artists, academics, trade unions and student unions joined the boycott. Through pressure from the movement, European governments have implemented measures to restrict investments and trade with Israel. At a time we are making a historic progression in our struggle for human rights and dignity, India is moving in the opposite direction. Modi and Israeli prime minister Benjamin Netanyahu have pledged to walk ‘hand in hand into the future’. India has already become the major ally of Israeli war economy that perpetuates the occupation of our land. India’s tax money has over the last two decades supported Israeli military industry with deals worth $12 billion dollars. The contracts awarded to Israeli Aerospace Industries (IAI) this year reached $2.6 billion, making up over half of Israel’s entire annual military export revenues. In 2015, Israel has become India’s biggest source of arms and today none of its army divisions could make its equipment work without Israeli maintenance of the technology components. This gives Israel effective control over the operational capacities of India’s defence forces. Israel does not hide that it forges military ties in order to exert political influence. In Brazil, during a diplomatic rift with Israel in 2015, a high-ranking defence official warned that this would cause retaliatory delays in military contracts with Israel. Brazil’s former defence minister Celso Amorim retorted simply that hence it is ‘time to diversify our suppliers’ and reduce excessive dependency on Israeli technology. China faced worse: it was one of Israel’s biggest military partners until 2005 when the US instructed Israel to cut all military relations. The military equipment China had bought was grounded and given no maintenance. This pattern of Israeli interests and questionable benefits for India stays the same even in civilian cooperation between the two countries. Israel wants to push through a Free Trade Agreement hoping to increase exports to India by 25%. At the same time, Israel offers only a tiny consumer market of 6 million people and those Indian companies doing business with Israel risk becoming complicit with Israel’s illegal occupation and potential targets of boycotts globally. India constitutes a fallback export market for Israel at a time when most European countries are reevaluating their trade relations with Israel, related to business operations in the occupied territories. The Israeli red carpet for prime minister Modi is therefore clearly understandable - more exports, more Indian money flowing into its war economy. For India, this new alliance brings with its complicity with war crimes and abandoning a historic legacy that still today inspires Palestinians and people around the world. As Palestinians, we continue to hold on to our friendship with India, based on principles of solidarity, democracy and human rights. I trust India will eventually take back its legitimate place in global politics and join us again on the path towards a future without apartheid.